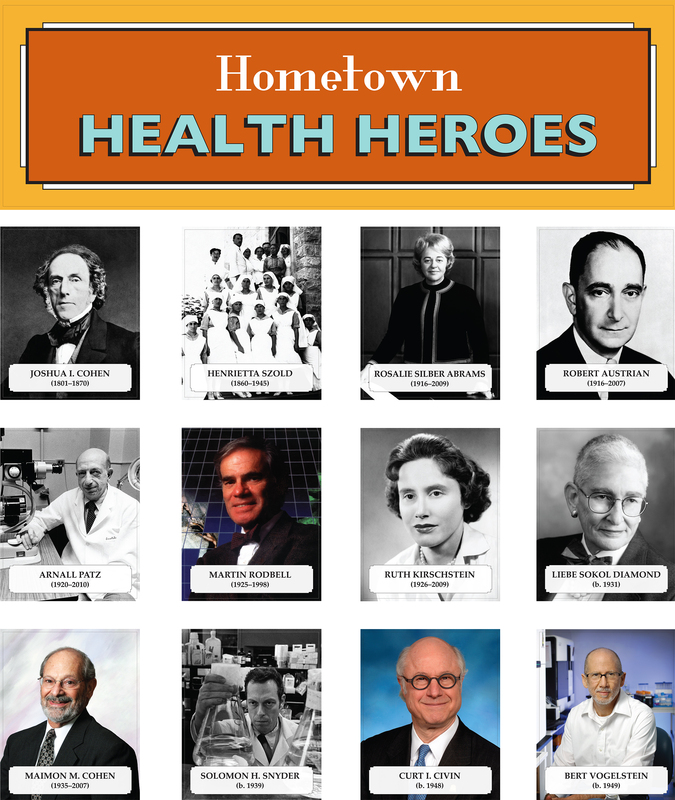 The Beyond Chicken Soup exhibition honors a short and eclectic list of Marylanders who have contributed in diverse ways to medical history: our Hometown Health Heroes. Not only did we whittle our selections down to a mere dozen, we had to describe their careers in only fifty words! This series of blog posts seeks to augment the stories we told in the exhibition, expanding on the information already provided, and adding to the list of those named as Heroes. We now invite everyone to nominate their own favorite Heath Hero. Send us a photo of your nominee with some details about his or her career, and explain why he or she is your hero. We will select from those nominated to be highlighted in an occasional feature on this website. You can send your nominations to kfalk@jewishmuseummd.org.